Skoda Fabia Estate Performance, Engine, Ride, Handling | What Car? The 74bhp 1.0-litre MPI petrol engine that kicks off the range is adequate around town, but the turbocharged 1.0 TSI petrols are better suited to faster roads. In fact, the 1.0 TSI 95 is so good that it renders the more powerful 110 version redundant. There's plenty of pull from low revs and 0-60mph takes around 10 seconds. No diesel option is available. 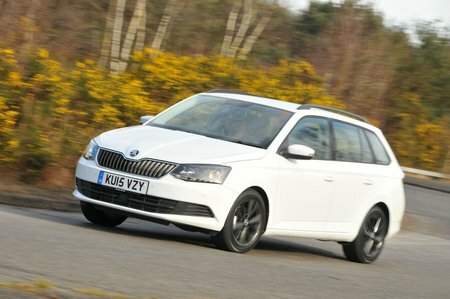 Especially with the turbocharged engines, Skoda’s small estate is a quiet delight to drive. Its steering is light, accurate and precise, with enough feedback to keep you informed about what’s going on up front. It’s very easy to control and feels well planted and safe. It’s not humdrum, though; it zips from corner to corner with eagerness and feels light-footed. 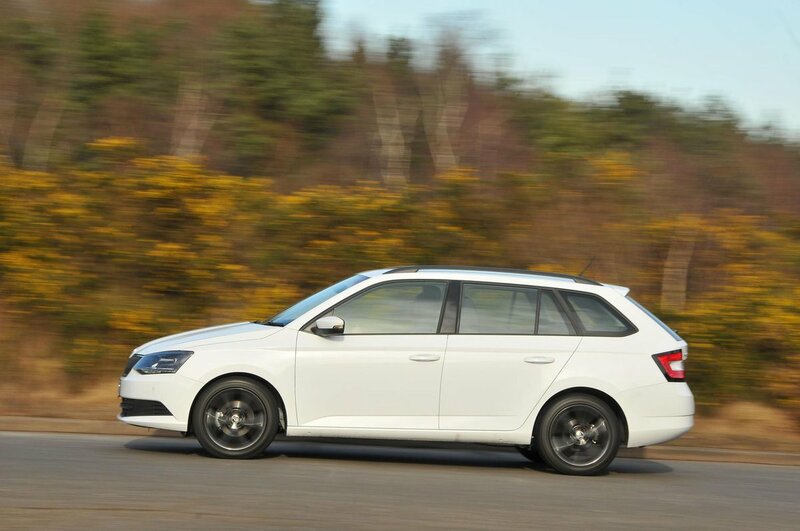 The Fabia Estate rides well, too, although it can be a little harsh over the roughest surfaces. Skoda has done quite a good job of isolating the interior, particularly from road noise, but the engine often intrudes a little. The three-cylinder petrols gets noisy when worked hard and also vibrate through the controls a bit. Manual versions change gear in a slick, precise fashion, while the automatic ones are unobtrusive, if a little jerky when maneuvering or in stop start traffic.